North Miami Property Management, North Miami Property Managers, North Miami , FL Property Management Companies. 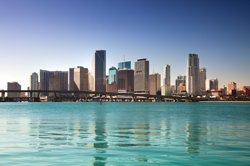 PPM manages residential, multi-family and commercial properties in the North Miami and Fort Lauderdale metropolitan areas (Dade and Broward counties) – representing clients from the US, Europe and Latin America. Thirty eight out of the forty seven registered voters, at the encouragement of developers E.C. Harner, Earl Irons and Arthur Griffing, showed up and voted to incorporate into a town on February 5, 1926. North Miami, between 1926 and 1931, was named "Town of Miami Shores", partially because its early eastern boundary was the Atlantic Ocean. The Town limits were: bounded on the South by Miami and Miami Beach, on the East by the Atlantic Ocean, on the West by 17th Avenue, and on the North by a line which approximates Golden Glades Drive or 166th Street. Incorporation moved costs from developers to residents and lot purchasers. Late in 1926 a bond issue of $287,000 was passed to build streets, sidewalks, a town hall, a water system, and fire protection.